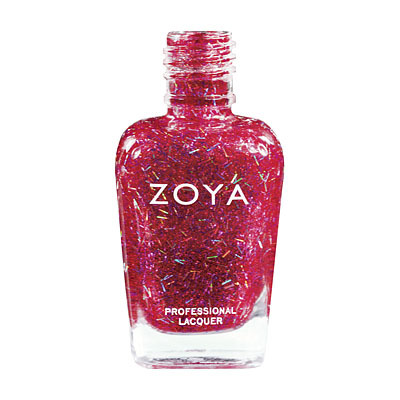 Zoya Nail Polish presents 3 new jewel toned metallic shimmer polishes and 3 glitzy, glitter glazes (featuring unique bar glitter) for an extra special holiday and winter 2011 season! The Zoya gems & jewels collection allows for multiple looks! • Layer the the glazes over the shimmers to a totally glam nail jewelry look. • Layer the glitzy, glitter glazes over other colors to create a totally unique look that is all your own (hint - hint: silver, gold, white and black totally rock under the glazes! ).